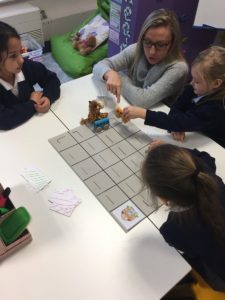 Key stage 1 had a great time playing maths games with Leeds Beckett students. They used objects, board games and challenges to test their maths skills. It was a very fun day!